Crisp and Juicy · Fall's Here! Let's go to the apple orchard! Find out how apples grow. See the many things we do with apples. Taste some cider and apple pie. Yum! 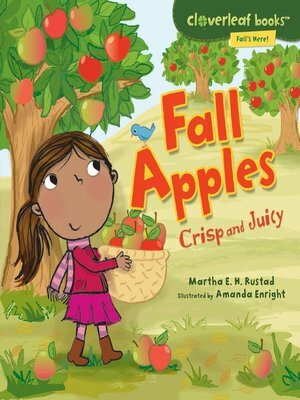 What happens in fall? Find out in the Fall's Here! series, part of the Cloverleaf Books™ collection. These nonfiction picture books feature kid-friendly text and illustrations to make learning fun!